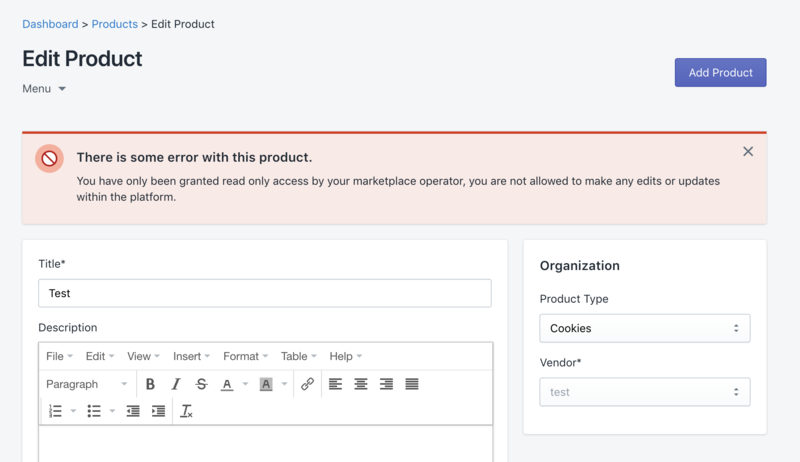 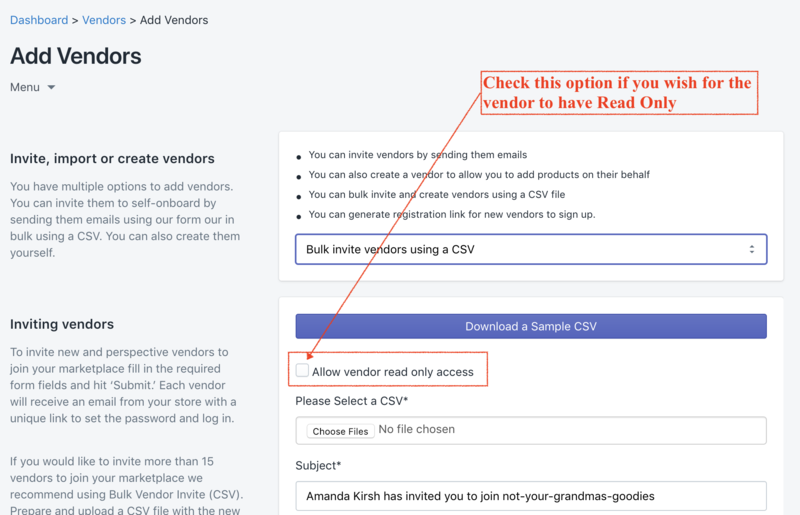 Read Only access allows you to keep your vendors informed about activities in the marketplace, that are related to them, but without them having the ability to update or edit anything. 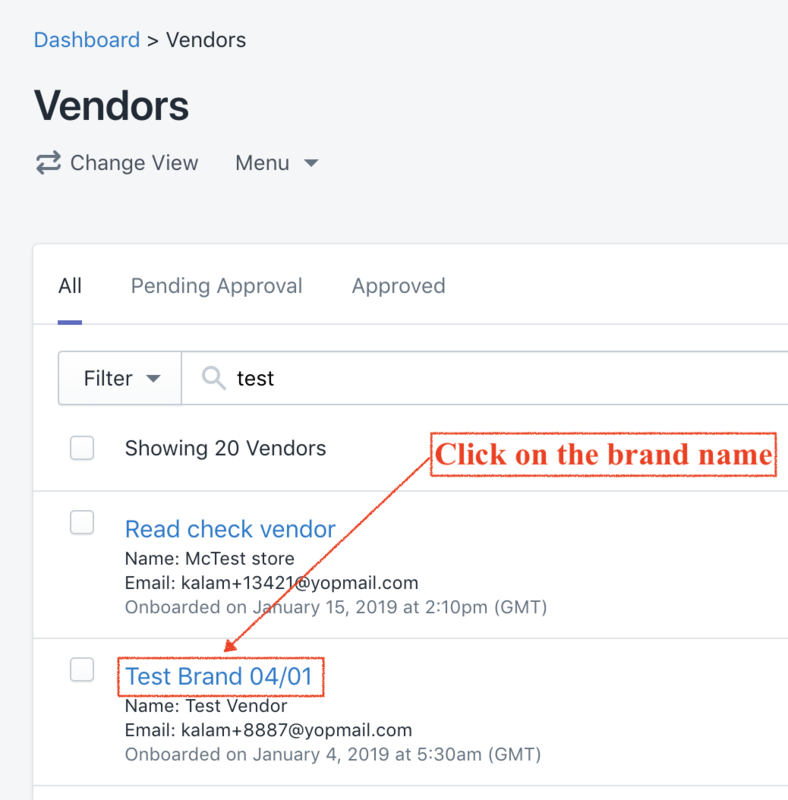 This is useful if you are looking to manage the products and operations on behalf of your vendors, but only want to ensure that they can still see all the orders and payments related information. 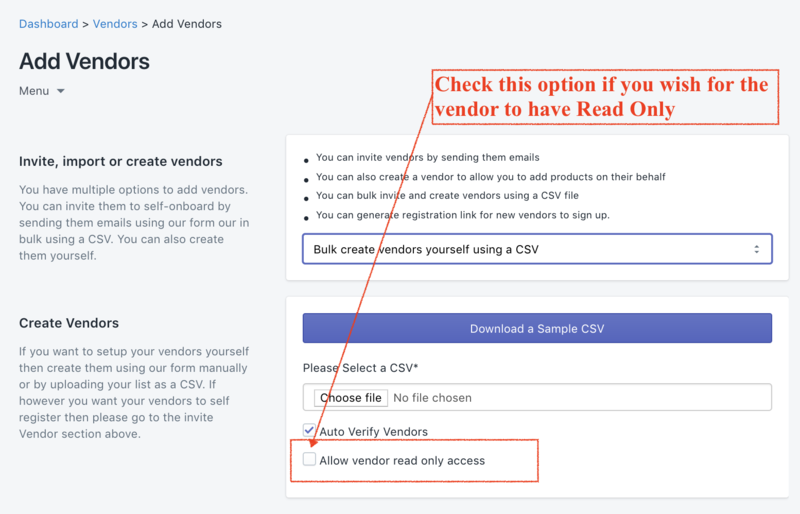 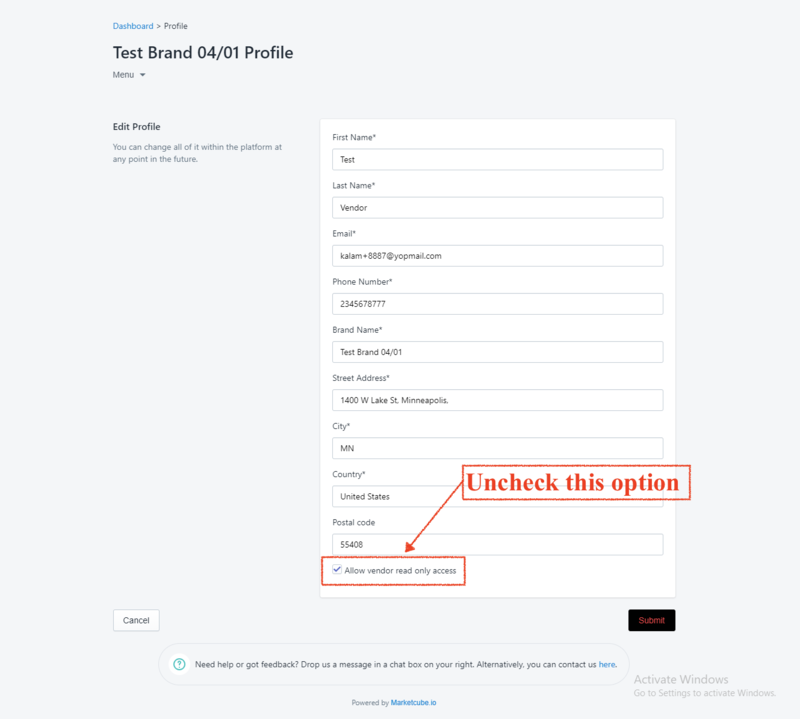 To enable this feature check the "Allow vendor read only access" on the Add Vendor page for both invited and created vendors options. 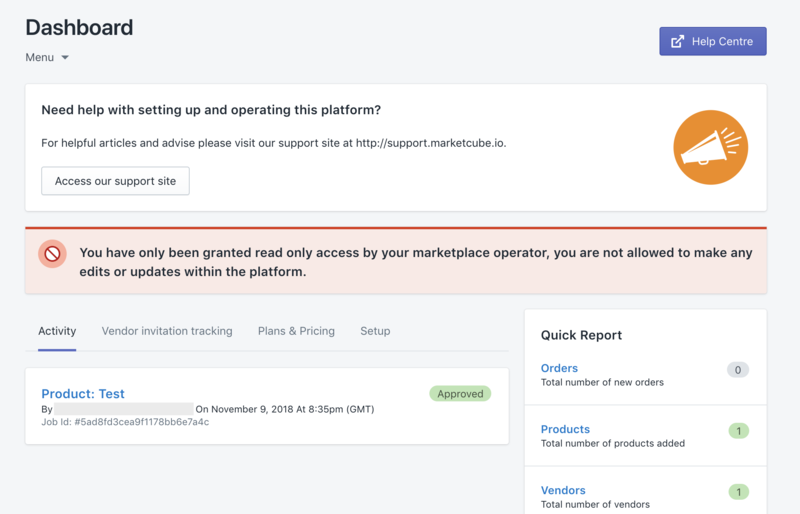 Once this option has has been enabled and the vendor has been invited or created in Marketcube, they will see a read only banner on dashboard once they login to their account. 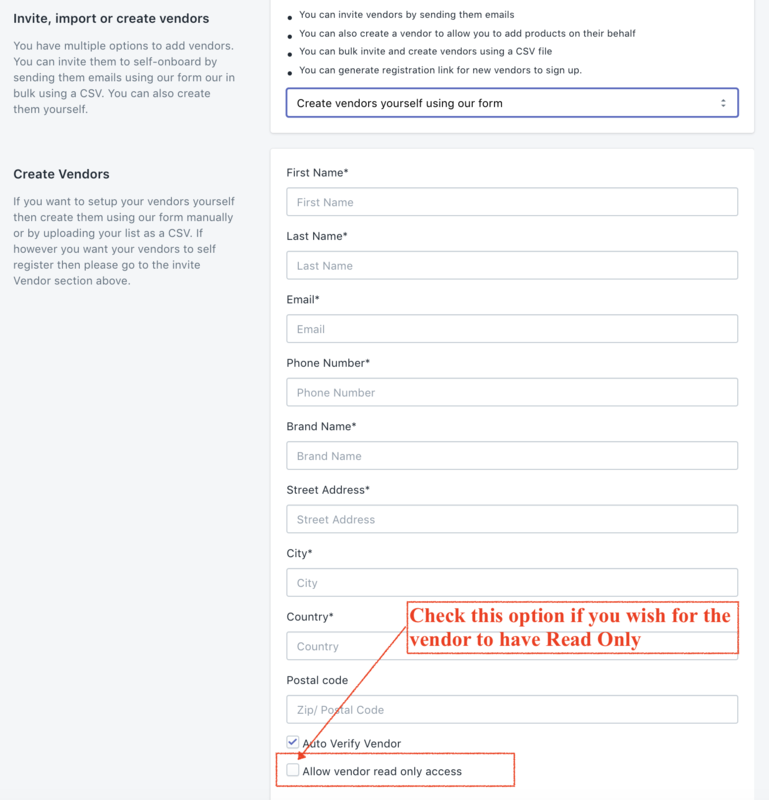 They will also be presented with a message if they try to edit or update something. 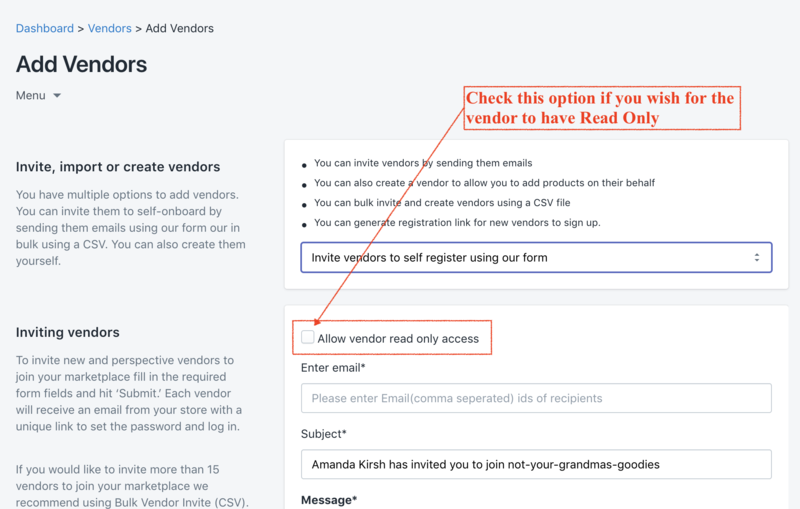 Uncheck the read only access.